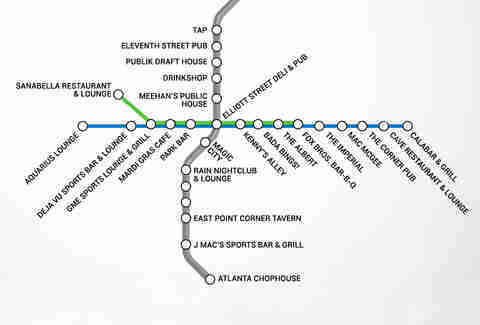 If you're riding MARTA, you've either already had a couple drinks, or you really need a few. Luckily, your second-favorite men's lifestyle site is here to help you with the latter, by replacing each stop with a watering hole that's within easy walking distance. 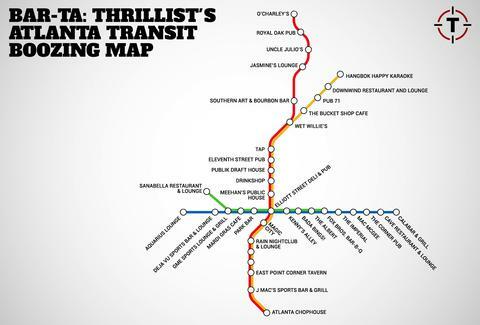 Of course, just like MARTA actually getting you where you want to go, that wasn't really possible, but we did our best, even though we had to skip a couple of stops. 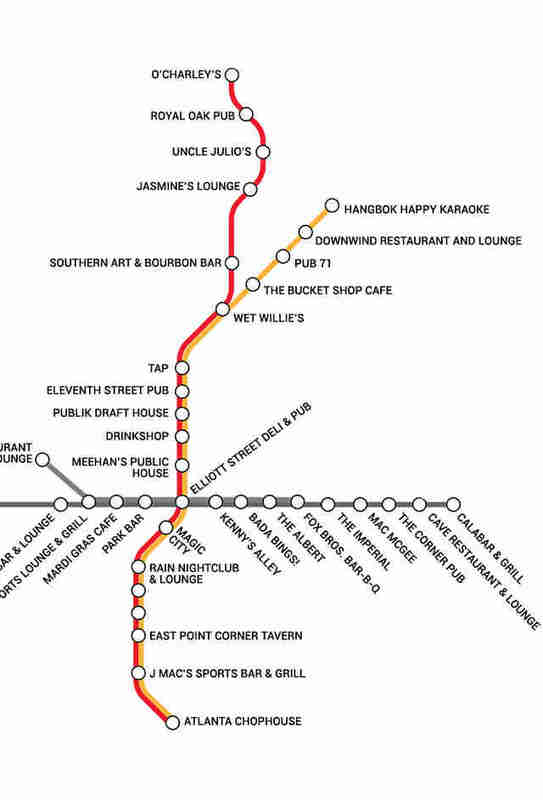 See the whole map here, and get the deets for every stop below. Oakland City: Um, maybe BYOB? Lakewood/Ft. McPherson: Yup, definitely BYOB.